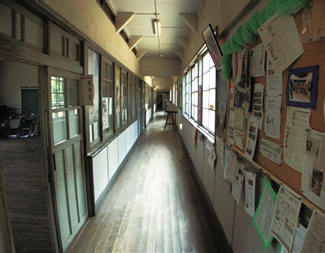 One month after the March 11 earthquake, citizens of Gunma, where it hasn't been directly hit by the quake or the tsunami but has been suffering from the consequences of the nuclear power plant accident in Fukushima, are in a so-called jishuku mood and refrain from partying. As the mood prevails, cities and towns of Gunma are cancelling or scaling down their events of the season. So, we bring you some of the events that will go on as scheduled despite the circumstances. Many of these events were not cancelled because the organizers wanted to help those affected in some way. We can help those affected not just by donating money and relief supplies but by going to these events and boost the local economy, which will help the quake-hit areas in the end. With fresh green leaves and brightly-colored flowers, May is one of the best months of the year in Gunma. Let's make the most of living in Gunma here and now. 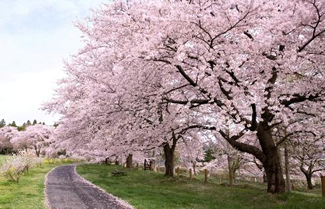 Cherry blossom-viewing is best at mid-April thru the Golden Week, a series of national holidays starting from Showa Day on April 26 and ends on Children's Day on May 5. No illuminations this season due to saving electricity. Ikaho Green Bokujo or Ranch is offering many sweets featuring cherry blossoms. See the URL above for more details. Up to and including Sunday, May 8. Enjoy the ground-covered moss pink under the glorious spring sky. Visit the URL below to see a video of the flowers. As suggested by its name, the City of Fujioka is a city closely associated with the wisteria flower and a place where there are many wisteria flower viewing spots. Please note that some of the events listed on the city's website have been cancelled due to the March 11 earthquake. You see a notice of cancellation of the event on the website, but the city has decided to go ahead with a smaller scale event. This year, there will be approx. 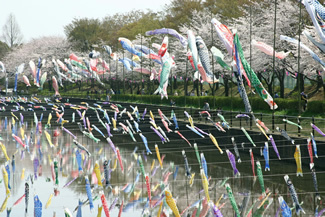 1,000 carp streamers hung over the Tsuruudagawa River. Many of the streamers carry Tatebayashi citizens' message of hearty cheers to those affected by the March 11 earthquake. Rows of old houses still remain intact along the streets of Nakanojo Town, which blend nicely with the onsen hotels and Japanese inns of Shima. Homemade soba noodles and tempura of locally-produced vegetables with Japanese sweets as desert. JPY5,480 for guests joining at JR Takasaki Station and JPY5,280 for guests joining at JR Nakanojo Station. Note: Scheduled events are subject to change. Please confirm before attending.